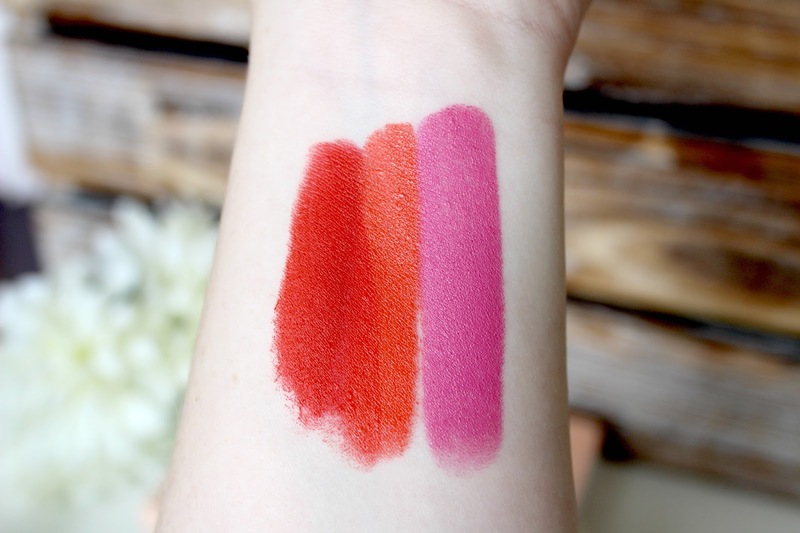 Think bright reds, oranges and bubblegum pinks, they're my go to shades for summer. I tend to tone down my eyes to something neutral, letting my lips be the main focus and almost always have bright nails to match, I just can't help myself. MAC Cosmetics isn't for everyone and they do now retail at £16.50 which is a bit on the pricey side for most. Anyone remember when these little babies cost £11? Nope? Just me collecting my pension then. So Chaud, which is the first lipstick in all the above images was the very first MAC lipstick I bought, I've repurchased it over and over again and always suggest it when someone wants recommendations. It comes in a matte finish and I just cannot fault it. The reddish orange shade is perfect for summer, against a tan and it lasts through drink, food and more! Not many people have heard of So Chaud so I'm always the first to sing its praises, I just love it so much. The second lipstick is Morange, a summer classic which I'm sure most of you have heard of or even own already. Morange comes in an amplified finish which is one of my least favourite finishes from MAC. It's a vibrant orange that screams summer, sunshine and cocktails. This doesn't last as long on me as the others but it still holds up in the heat. I just love this shade and I always get compliments when wearing this as it brings out the blue in my eyes. Lastly, is a pink shade which is rare for me but Pink Nouveau just stole the show one day and I haven't looked back. It comes in a satin finish which I find is as good as the matte formulas just a little creamier. It's my perfect candy pink, lasts for hours and doesn't transfer too much like its glossier finished siblings. This is another I would repurchase in a heartbeat as I couldn't imagine it not being in my collection. If you're looking for some fancy brights, then look no further. I'd love to know if you already own some of mt favourites! 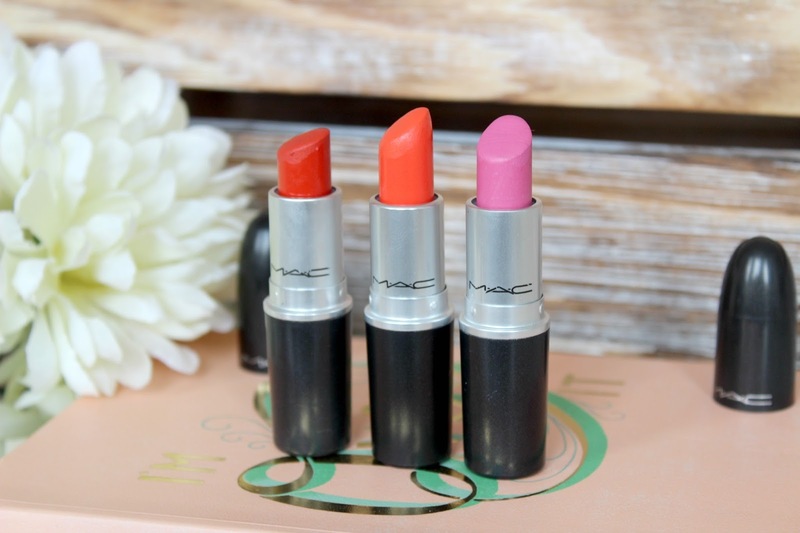 Why not get some inspiration from My MAC Lipstick Collection post. That orange lip shade is just so pretty!! Pink Nouveau reminds me of my favourite Illamasqua Luster lippie - its bright, wild and perfect for Summer! 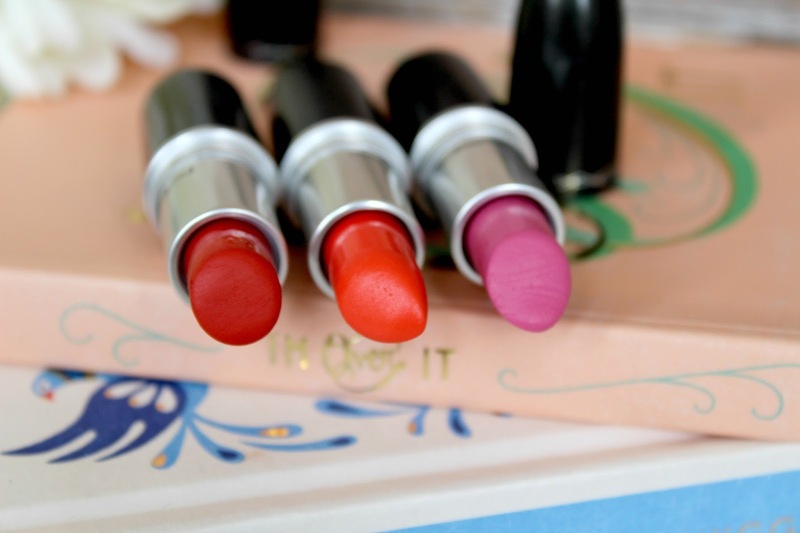 These are beautiful shades! 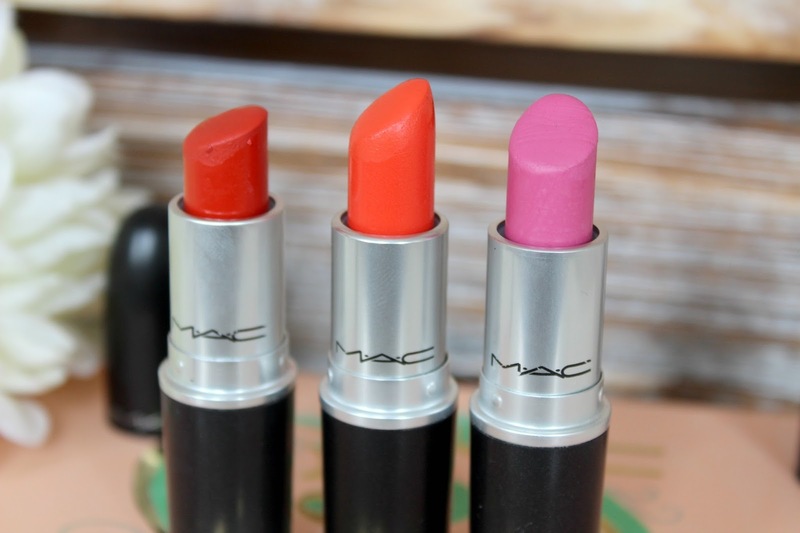 I love MAC lipsticks! I absolutely love Morange - looks like such a summery shade, can just imagine that with a tan!! i love those colours! not exactly me but stunning shades! !